My nut drivers in their original carrying case made it difficult to quickly retrieve a driver from my toolbox and they took up a lot of space in the drawer. 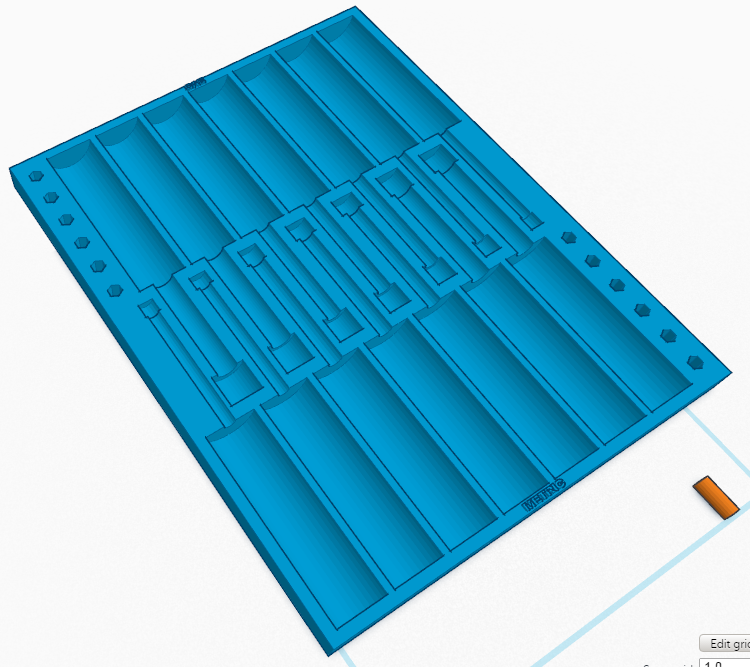 I used TinkerCAD to design a tray to snugly fit each driver. The tray was too large to fit on the bed of the Ultimaker 2 so I split it into two pieces and built in dowl slots to align the pieces when I glued them together with CA glue. I printed in ColorFabb XT as it was the only Black Filament I had at the time. I printed at a VERY high resolution so it took a long time to print. However the tray had zero cleanup work done to it. What you see in the photos are the two pieces straight of the bed and glued together. 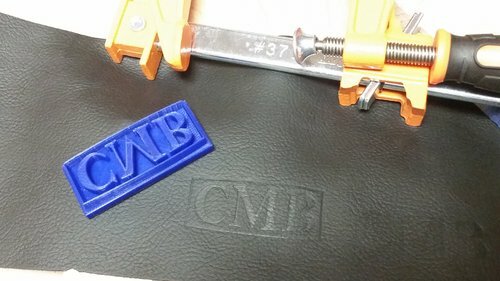 Monogram Stamp in Leather to be used on a wooden knife case. I placed the leather and reversed stamp between two wooden calls and clamped them together for an afternoon. Slightly heating the leather prior clamping might have helped get a little more of a lasting impression.